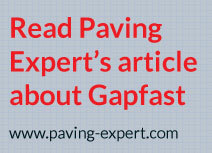 Take a look at our video which demonstrates how Gapfast provides a quick & easy method of laying all types of paving flags & slabs that have a square edge. 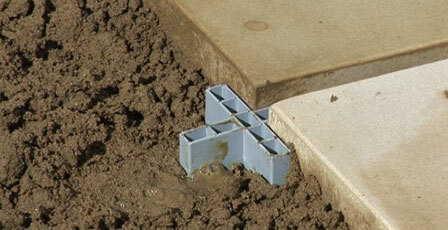 We show you how to lay a patio using both the Gapfast Crosses & Tees for checkerboard, offset & patio packs. Building a patio will be much easier, it will be inherently stronger and look superb! 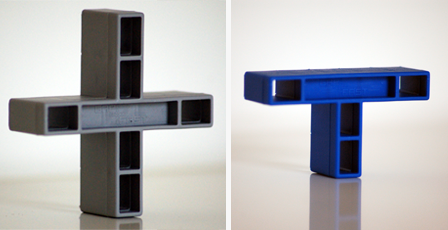 Accurate 10mm joints – every time! 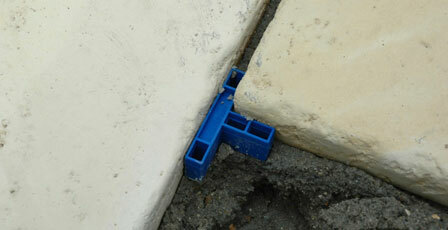 Gapfast will add significantly to the structural integrity of the paving design. By using Gapfast the landscape architect/civil engineer does not have to rely alone on the horizontal bond strength between the paving unit and the bedding mortar. Similarly little requirement is placed on the pointing medium itself (which frequently fails). A flagged paving system incorporating Gapfast will allow the entire paved area to act almost as a monolithic (but flexible) construction. The horizontal loads placed by vehicular braking and acceleration forces are considerable, similarly rotational loading brought about by power steering of stationary commercial vehicles is again significant. By using Gapfast, these stresses are distributed throughout the entire paved area, rather than relying on the individual paving units. For more information call our Technical Team or email us.